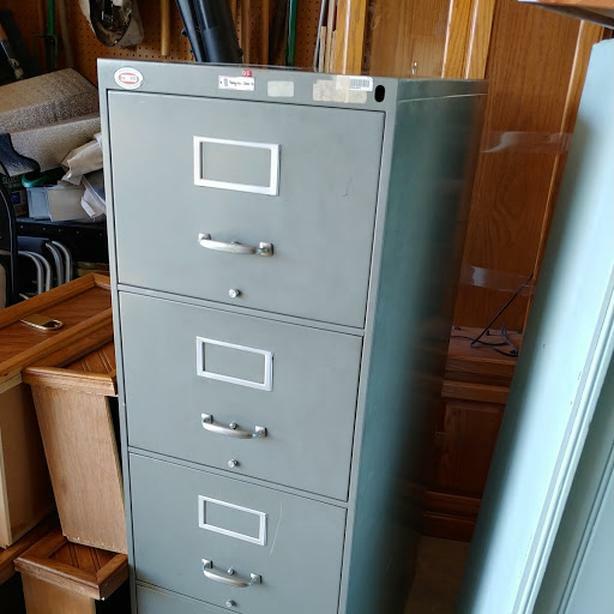 Legal sized 4 drawer filing cabinet. Weighted bottom so you can open fully loaded top drawer safely. 51 inches high, 18 inches wide and 28 inches deep. All drawers and inside pieces work perfectly. Quite heavy so bring help!